Let's see how the Kia Niro EV fares in this newest test drive. We've published quite a few takes on the all-new 2019 Kia Niro EV as of late. This particular one deals with the SUV's impressive range. The Niro EV finds its energy from a rear-floor-mounted 64-kWh lithium-ion battery. Interestingly, as a few German automakers are finally bringing EVs to market that somehow can't touch Tesla on range, Hyundai/Kia continue to release more and more battery-powered cars that are set to do away with range anxiety, all while having reasonable pricing and offering decent performance. Yes, all in good time and as the market warrants it these companies will be in a more positive position to produce electric vehicles in higher numbers and offer them in more markets, but wow, what a solid start. The Kia Niro EV is officially rated with a driving range of 385 kilometers (~240 miles), yet it can still pull off a zero-to-62-mph sprint in some 7.8 seconds. Before we have to deal with endless Tesla fanatics' denouncing of this vehicle, 240 miles for an entry-level SUV and 7.8 seconds are truly outstanding for those not in a financial position to buy a Tesla. If you really want one of these limited availability EVs that cost less and are very promising, do your homework early and place an order. Also, plan a road trip or a shipment to your home state. Let's all be on the same team here as EV advocates and give Hyundai the credit it deserves for bringing competitive long-range vehicles to market with excellent range, good performance, and a decent price. This is very unlike what is happening as the European automakers continue to make us wait, and also are coming to market with expensive EVs that just don't fit the bill. The drive started with a range of 445 kilometres showing in the instrumentation. At the end of the 101-kilometre test route, the range was still showing 363 kilometres to “empty.” This was due to the amount of otherwise waste energy recaptured and fed back to the battery. The 19 kilometres of bonus driving range is significant, and speaks to the fact the driver is wise to use the top level of regen. Had the highway section of the test route been run with the same sort of eye to battery preservation, the recouped energy could have been a lot more. 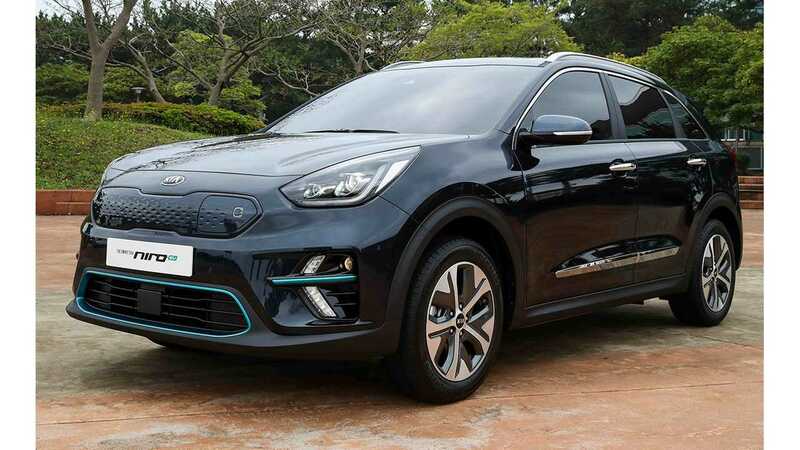 To check out the full 2019 Kia Niro EV review, follow the link below.